Mike Kojima and the guys at MotoIQ have teamed up with Redline Time Attack to introduce a new wheel to wheel race series on the west coast called the Pacific Tuner Car Championship Series. Are you bored with track days and HDPE events? Ever wanted to see what you have and go wheel to wheel with other tuning enthusiasts? Ever wanted to see who's the best driver and who could build the best car? Ever then go to a legal sanctioned racing event only to find that your lovingly built street car is only legal in some super unobtainable class because of your tuning and the parts you installed? Ever then find out that you can only race if you took off 80% of your hard earned parts only to race in some boring close to stock class? There are going to be two main classes based on power to weight ratio and tire size. Tuner Under or TU which will run a 12:1 power to weight ratio and Tuner Over or TO which will run a 8:1 power to weight ratio. 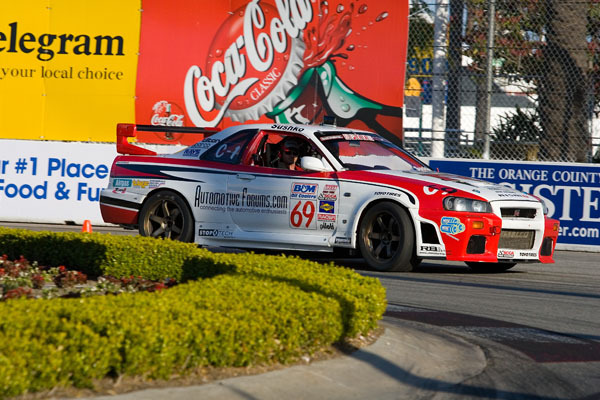 You can also take your existing race car from many popular sedan racing classes in Grand Am, SCCA or NASA and with a little tweaking, be competitive. The rules have enough flexibility that nearly any unibody equipped race car can be competitive. If you are a racer from a restrictive rules class, you will probably find it refreshing not to have to come up with risky and expensive ways around the rules. A full Draft copy of the rules can be found on the MotoIQ site.